1 medium Potato cooked and mashed. Coarse grind the Chick Peas in a food processor or blender. Mix coarse ground Chick peas with the minced Green chillies,Garlic,mashed Potatoes,Red Chilli powder,All purpose flour and salt. Make medium sized balls out of the above mixture and pat into 3-4 inch(in diameter) patties. Heat a pan with lilttle oil and cook the patties for 6-7 min each side on a medium heat. ( till the colour changes to golden brown). Cut open a Burger Bun. Put the leaf Lettuce, Cheese, Patty, Cucumber and Tomato slices on one half and cover with other half and serve. Note: If you are using dry Kalbuli chana, soak the chana for overnight and pressure cook ( 3-4 whistles). If you want to know the Bun recipe Click here.I used the bun which I made at home,used more Lettuce and skipped Cheese. 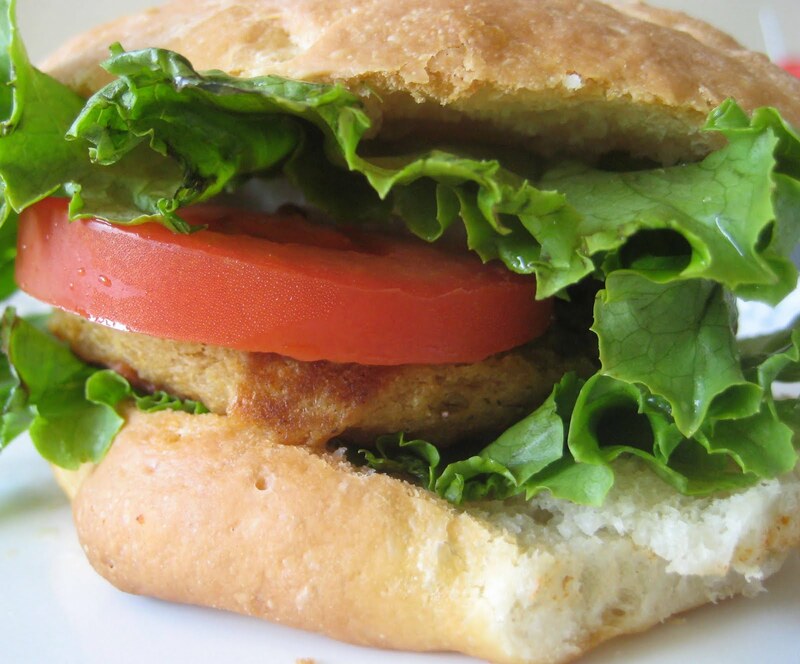 You can make as per your taste.We can make 4-5 medium size Patties from a small can of Chick peas.